Hello Tuesday! I am excited to share the second part of our holiday series! 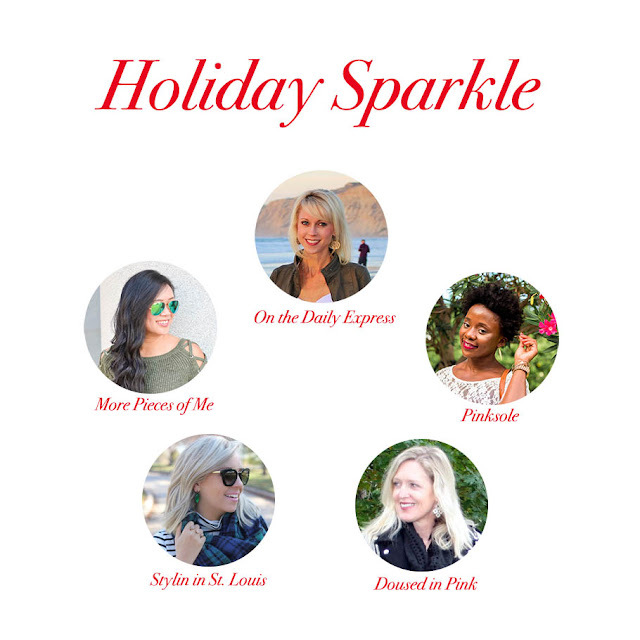 This week, we are styling anything that sparkles! This skirt is old, but J.Crew Factory is selling one almost identical! I love pulling it out for the holidays! I paired it with a chunky sweater for extra warmth! Be sure to head to Rachelle at Pink Sole next! 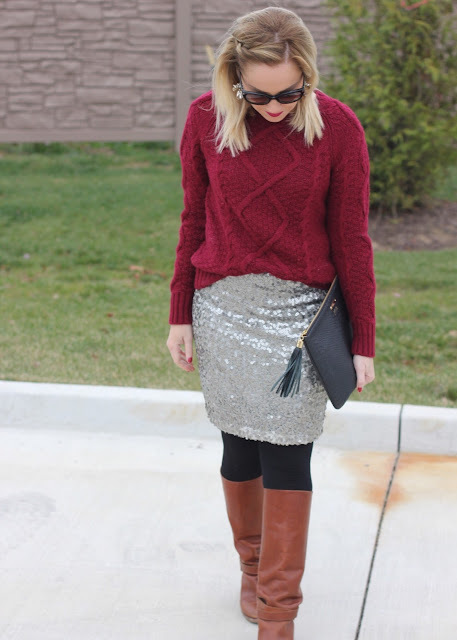 That skirt is so cute, great winter party look! So cute! I love your silver sequins! 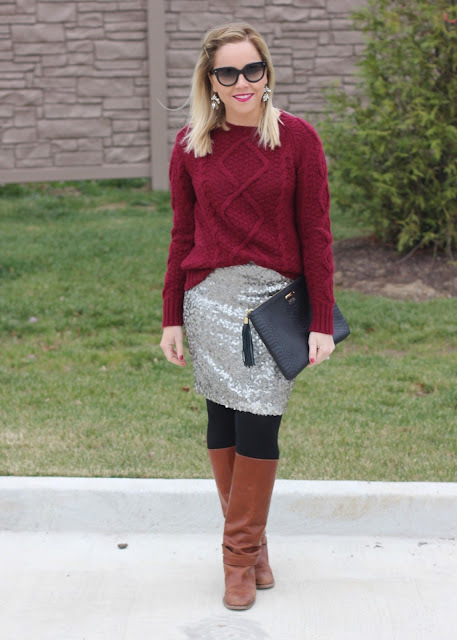 I styled a sequin skirt with a sweater for today's prompt too! Very cute outfit! I love the way you styled this skirt. The red sweater looks great with it and your hair is really cute like this too! 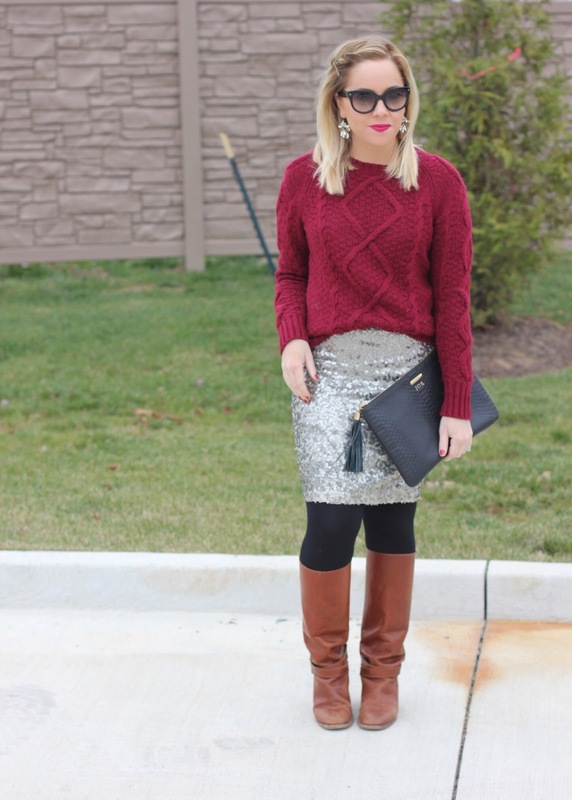 The berry colored sweater is perfect with the skirt! And I love your hair like that! Adorable! Love the sparkle here, lady! love the boots with the skirt! cute look! loving the skirt. I've put it in and out my cart probably 5 times - would you say its true to size? What a pretty sparkly skirt! Love it! Love this holiday look! Your skirt is amazing!